This display case two parts. The wooden base with mirror on the bottom and the wooden frame cover with glass. 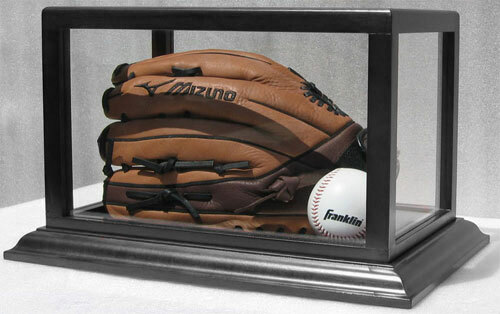 Ideal to display a baseball glove. No assembly required.